Is your child afraid of the dark? Does he or she have a favorite toy? The comfort of a favorite toy in the dark helps us face our fears. When Ernie the Elephant loses his favorite teddy bear, he overturns tables and furniture to find it with no luck. How will he be able to sleep without Plum the teddy bear? With the help of Martin, the Mouse, he retraces his steps more carefully around his home. Will Martin and Ernie find Plum the teddy bear, or will Ernie have to face the darkness at bedtime alone? 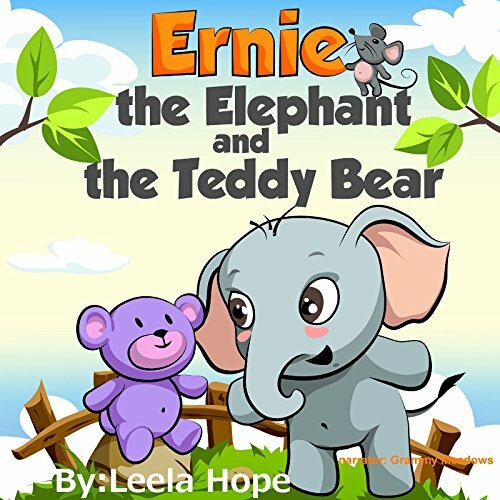 Ernie the Elephant and the Teddy Bear is a delightful children’s story set in rhyme. Your child will delight in the colorful illustrations of Ernie and his family and then connect with him as he searches for his beloved bear. This is a perfect bedtime story that reassures any child that all is safe before he or she falls asleep.